Viktor’s Granite & Marble is a leading natural stone installer in Western North Carolina. We design fabricate and install kitchen countertops, marble vanities, custom stone fireplace, outdoor kitchens, travertine backsplashes and more. Please visit “Service Area” page for full area coverage. 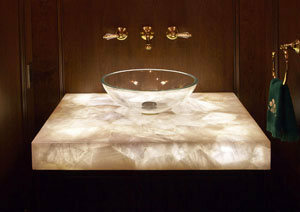 Bathroom vanity is the focal point of your bathroom, and at Viktor’s Granite & Marble we know how to make it standout. Our design work is unique and, as many of customers say: “Work of Art”. When choosing your vanity tops, you have a choice of natural stone such as Granite, Marble, Limestone, Slate, Travertine, as well as engineered stone: Silestone, Ceaser Stone, Ice Stone, Cambria, Zodiaq. Granite is one of the strongest natural stones. Its strength surpasses sandstone, lime stone, and marble. It is so durable that only diamonds and particular tools can hack into it. So don’t agonize about knives making dents or scratches to your surface. Don’t be concerned about heat being applied to granite surfaces; it can withstand any hot dish or even frying pans placed on it. 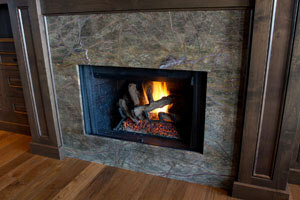 Our marble, granite, limestone, travertine and slate fireplace surround facings are naturally beautiful. 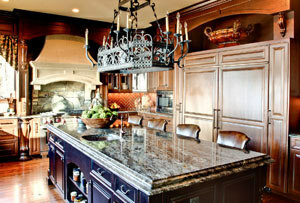 Granite is the most durable and stain resistant of all stones and requires less routine maintenance. Improve your company’s image by creating unique atmosphere and luxury feeling. Nothing beats look and feel of natural stone. 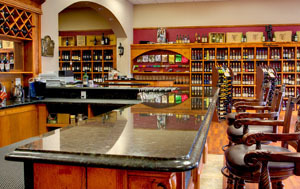 We’ve done a lot of work for restaurants, stores and offices. Big or small, we can do it all!